Wyandotte Bantams. (Bred for Broodies). 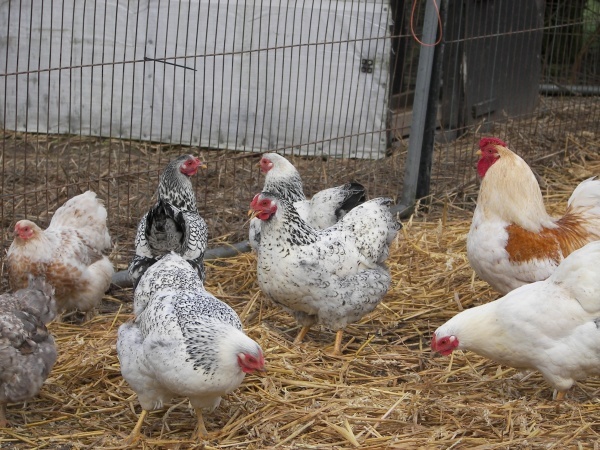 Some people have already started hatching, but there is plenty of time yet, unless your looking to get an odd one or two for an autumn show and want them to be full grown and of a larger size. Things are going to get much tougher in this country as the recession starts to bite deeper and prices of everything will rise, including poultry feed. The pig keeping in the country has already felt the effects and when the Euro crashes, as it surely will, god knows where that will leave our farmers. Last week in Hereford market pigs were selling for ridiculous prices, well below what it costs to rear them. A very large boar, that would expect to sell for in excess of £400 made just over £100. Porkers were making £40 each. Horses and ponies are in the same state, again with prices below what it cost to get them to the market. The meat buyers are paying 35p per kl for ponies and 45p per kl for horses and hundreds and hundreds are slaughtered every week. Come March when the poultry auctions start I can see people trying to off load as many birds as they can,so be carefull if your buying at auction. You should have a clear idea what the standard is for a bird of that breed. If it says it should have yellow legs, any other colour is wrong. Have a close look at it’s feet and make sure none of the toes are twisted or bent. It’s legs should look clean and all the scales on them should be tight and close fitting on the legs. If you can see it’s nails check to see how long they are, as old birds have rough scaly legs and may have long nails. The vent (bum) should be clean and without any staining of the feathers,If they are stained don’t buy them. But its the eyes that hold the key to a fit bird. They should fill the socket and be bold and bright. Beware of sunken eyes that are over shadowed by the brows. If the eyes are dull leave them there. Look for an active and alert bird. Anything that sits there and looks unhappy probably is and your not getting a bargain what your buying is trouble and it will cost you more than the price of the bird if you take it home and infect all your other birds. 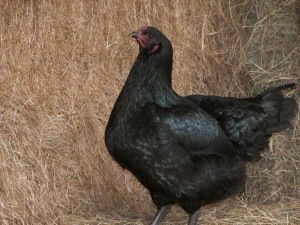 Welsh Black X Copper French Marans. (brown egg laying table bird) Stage 2. I expect a few of you buy eggs off ebay. 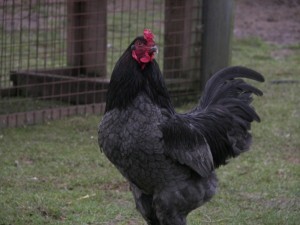 I bought 3 lots last year, from breeders I thought were a good risk and again were very disappointed by the results. Out of 18 eggs I managed 1 chick (a cockerel) and every batch of eggs were sent by normal post in those stupid poly-boxes. I always post feedback AFTER I have tried to hatch them and I give it on hatch rate. This idea of leaving it on whether or not they managed to pack 6 eggs into a poly-box and make it down to the post office takes the pi**. Your left with 6 eggs that cost god knows how much with postage and sweet sod all after wasting 21 days of electricity. The last lot I candled at 10 days and all were clear..I was slightly miffed about that as you can imagine. I wouldn’t mind a 50% hatch rate, but empty eggs are just a waste of time and effort. PREVIOUS POST Previous post: Utility Poultry. How it was then. NEXT POST Next post: March Ramblings.